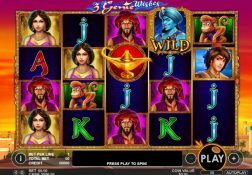 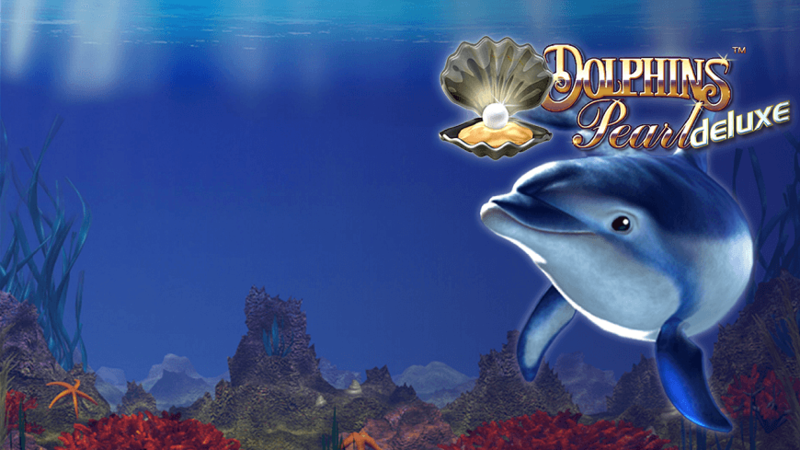 This Dolphin´s Pearl Deluxe slot game review will give you an insight into the bonus games and bonus features and the payout percentage that slot game offers players too. 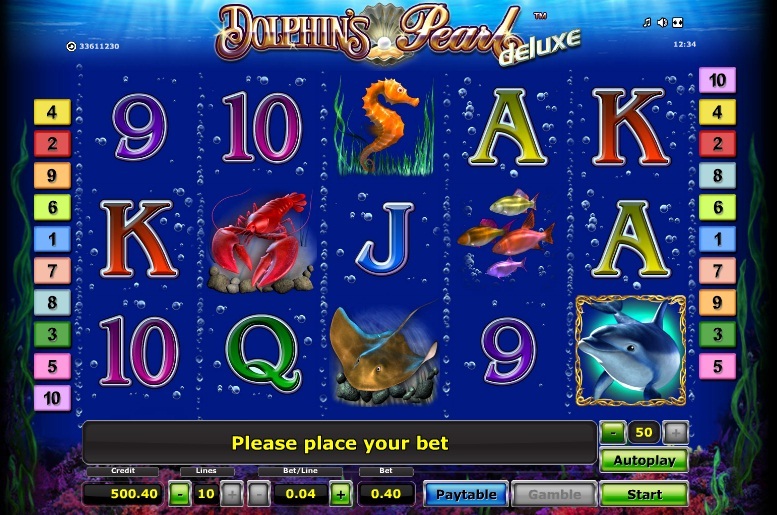 Where can I play Dolphin´s Pearl Deluxe for Real Money? 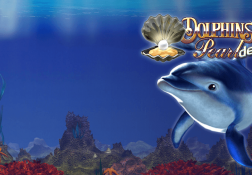 Many land based casinos still have the Dolphins Pearl slot game available on their gaming floors, and that is due to the fact many players cannot get enough of playing this nondescript looking five video reel slot that was launched many years ago, in fact well over a decade ago! 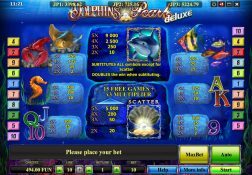 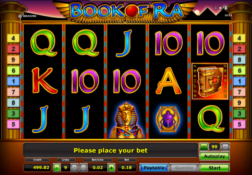 What the secret of this slot games success and popularity with players is all down to is the fact that it delivers a fast playing format and structure and it s a slot that when everything does fall into place can reward players with some rather high valued winning payouts. 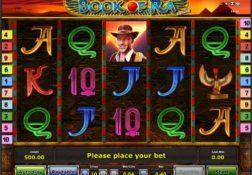 There is a bonus game on offer on this slot which is available to also play online either for free or for real money, and for reference that bonus game is a set of free spins, if you are seeking out some older styled video slots but ones that will always give you the maximum winning opportunities and plenty of excitement then I would urge you to sample the delight of playing this slot game online! 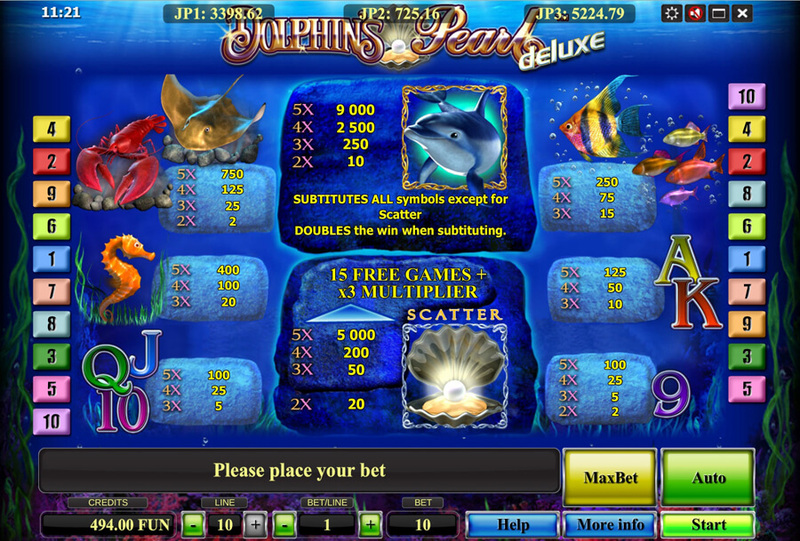 The Dolphin´s Pearl Deluxe Slot has a payout percentage of 95.13%.